Happy Valentine‘s Day to YOU!! Be the FIRST to wear a SWEETHEART bag from PAXbaby.com! Our talented PAXbaby seamstress whipped this beauty up especially for one lucky PAXfan this Valentine’s Day. Made from wrap scraps & twill and lined with PUL, the SWEETHEART bag has inner pockets as well as a tie closure and a sweet snap closure pocket along the back! Use as a diaper bag or an everyday bag, the SWEETHEART bag is nothing short of ADORABLE at 13″ tall and 17″ wide! Win a SWEETHEART bag FREE FOR SHIPPING (add $30 for international shipping) in your choice of available wrap scraps by entering the drawing below, here at the PAXblog! Winner will be randomly chosen and emailed – so remember to use your email address (please no commenting a second time with a separate post including your missing email address)! Comments will be posted with first name and last initial. One entry per person/household – Tell us about your love for PAXbaby with a comment to be used on a feedback page…..
For one EXTRA entry- Please upload a LOVE DAY photo to our facebook page and then come back here, tell us that you did and link us! Contest closes tomorrow, February 15th, at 12:00 NOON PST. WINNER IS BEING SELECTED NOW!!! You can earn up to 2 entries per household. Good luck , happy Valentine’s Day, & thank you for your participation! What a gorgeous, gorgeous bag! I would love to use this as a baby bag with baby #2 on the way! I love this bag! Just beautiful! Love is all there is!!????? I hope I win! So pretty! Soooo stinkin’ cute! Obsessed with ruffles over here! Eek! I have dreamt of a ruffle wrap bag!! LOVE!!!! This bag is so stinkin’ cute! I hope I win!! This is SO gorgeous, and I would be thrilled to win one!! What an awesome Valentine’s Day surprise! You guys are amazing! Entering for wrap scrap bag please! So adorable! This bag is the cutest ever! I need a babywearing bag so badly and this one is beautiful! I ordered a jujube quick from a different site (dumb!) and it says it was delivered today but it wasn’t 🙁 🙁 so I really need to win this one instead!! oooo this is adorable! Happy Valentines Day PaxMommies! <3 LOVE love this!!! Just beautiful! PAXbaby is the best! Great carriers & even better staff! I love how Paxbaby is so incredibly helpful and giving to babywearers. It’s truly awesome to feel the love from a company and not just be sold stuff 🙂 Thanks ya’ll! I <3 Paxbaby- my very first ring sling was c/o Jillian and started my love for babywearing! RR is our favorite wrap! Jillian at Paxbaby rocks! Best babywearing advocate ever! Absolutely love the positive attention yall bring to the art of baby wearing! Love your love for baby wearing and love for teaching all things related! Can’t wait for my squish to get here to use my WCRS and BBII! I love Pax baby for all of my baby wearing needs. I get compliments on my pimped out Gemini everywhere I go! I love babywearing and the help I have gotten from PAXbaby. Paxbaby has the best selection of yummy wraps and super fast shipping. LOVE this bag!! And love everything that is PAXbaby!! too cute. love the rainbows offered at pax. Paxbaby.com has a wealth of knowledge and information about the wonderful art of babywearing! I love the videos regarding instructions for babywearing success. And my babywearing is happy thanks to Paxbaby.com! I love the expert advice and also the baby wearing and nursing (especially in public) community and advocacy. Paxbaby and Jillian are amazing! Free shipping, excellent customer service, my go to retailer for anything babywearing. I love PaxBaby’s sling exchange program. I can’t wait to try a wrap conversion mei tai! Here’s the link to the picture that I posted for Love Day. It’s my 5 month old son, Christian and his best friend, our 4 year old pit bull/boxer mix, Tifa. 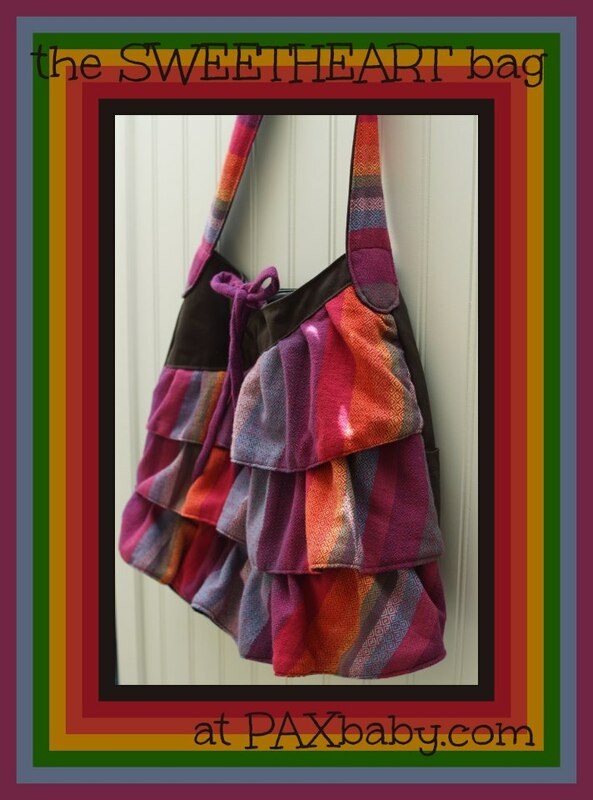 I love how creative paxbaby is with their exclusive designs….the RR, Ooga, this Adorable bag! I would love one of the cute sh bags ;). PAXbaby and their exclusive designs make my babywearing dreams come true all the time! I absolutely love PAXbaby! They are all so amazing and I am so glad that I bought my wrap from them. Not sure what I would have done without that wrap. Thank you PAXbaby for being so awesome!!!! I love PAXbaby because PAXbaby has helped me love baby wearing! I love all the great product you carry! Very creative and inventive! I love all of Paxbaby’s support for BW’ers and the beautiful exclusives you have… Double rainbow especially! I love PAXbaby. They’re the whole reason I’m a babywearer. Their YouTube videos taught me how to use a ring sling and I was addicted. I drove over an hour and a half to go to my first playdate so I could learn more. Now I stalk their site and Facebook page for the latest wrap designs, carry videos, and fun giveaways. I’m a happy babywearer because of PAX! I love PAXbaby bc no matter what I need there is always a PAXmommy there to help. Customer services is second to none. I bought my 1st baby carrier, a beautiful earthy rainbow rs from paxbaby. The items was a pre order.Paxbaby was always quick at letting me know on updates of my purchase . When it came in it was it shipped out right away! Thanks paxbaby I love my ER RS!!!! I love PAXbaby because they provided quality products and helpful info on babywearing. Thanks to Jillian’s YouTube videos I wasn’t so confused on how to use my new ringsling and I was able to wear my baby in confidence, knowing that he was in the proper position and was safe and comfortable. Thank you PAXbaby! I posted a Love Day picture on your facebook, but couldn’t figure out how to link you. I love shopping PAXbaby…so many beautiful items! 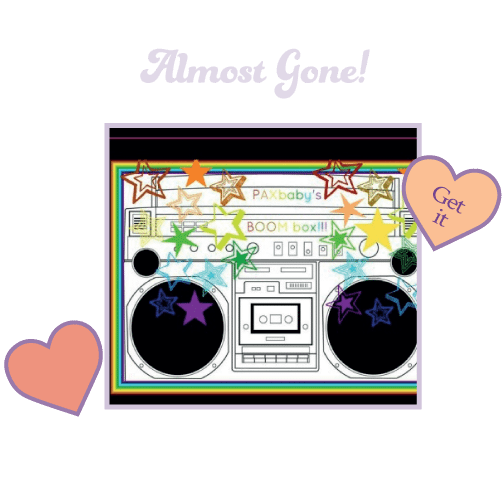 And your awesome giveaways, and following your blog, and facebook, and learning new things…I think I just love Paxbaby in general! I <3 Paxbaby! Paxbaby introduced me into the wonderful world of babywearing and woven wraps. i happened upon paxbabys store online and am so glad i did.The youtube videos are so helpful and the customer service is outstanding from all the paxmommies. its so nice to see the posts on paxbabys FB page and i can tell that Paxbaby loves what they do with thier whole heart. I love PAXbaby because, although I still haven’t been able to buy my dream wrap yet, they are so good with tips and advice. Thank you, Jillian, for all of your informative videos, and for spreading the baby wearing love. I love Paxbaby, because they provide me with the most beautiful selection of baby wearing gear and are just super cool and sweet mamas! I love Paxbaby because your posts, pics and even answers to questions are so upbeat! I love PaxBaby b/c of all of the free knowledge that they have. I have never bought anything from pax, but I went to a Pax playdate recently and didn’t know Jillian. She heard I wanted a certain carrier, looked at me, and recommended a totally different one b/c of my size. I would never had known that it wasn’t the carrier for me. Thanks Jillian! Saved me from churning ANOTHER carrier! I so totally appreciate Paxbaby’s dedication to finding the perfect baby carrier for all caregivers and mamas! I love the playdates, the Facebook page and all the photos of various moms, dads and other caregivers wearing their babies. I also appreciate the excellent customer service and communication that I always receive when ordering from Paxbaby. Thanks, Paxmommies! 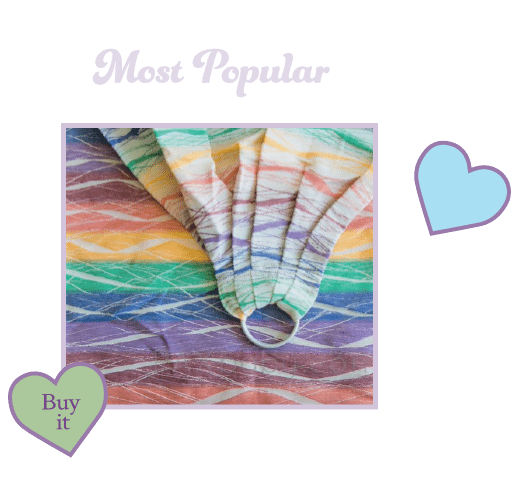 Paxbaby is the raddest babywearing outfitter around! Not only do the Paxmommies have all the best tips and tricks to make babywearing work for every mom or dad, they also have excellent taste. If you’re babywearing-curious, you can rent a carrier and dip your big toe into the wild and wonderful pool that is babywearing. Simply cannot recommend this amazing store enough! PAXbaby always has the best range or wraps and carriers, with the sweetest photos to show them off! PAXbaby!!! What can I say?? I love them!!! From the first time I saw a PAXbaby video and was taught by Jillian to tuck the wrap into my LO’s diaper, I was hooked! Thanks for all you do! Id love to win a sweat heart bag!! I love how helpful Paxbaby has been in my journey of baby wearing . They have helped me stay close to my lil one while still taking care if my other 3 lil ones . This is a really sweet bag! PaxBaby is the best place for all your babywearing needs. Wonderful customer service and a great variety of all things babywearing! Pick me. I would love this as a diaper bag!!! I woulda love to win this, and if not win… purchase! Paxbaby was extremely helpful to me when I began babywearing. Their “prescription” service helped me discover wrapping and mei tai carriers. I especially love how helpful and informative everyone is. Paxbaby is awesome for the latest and greatest babywearing fluff hard to find anywhere else! You and your website inspired me to babywear! I love seeing your beautiful positive posts, and me and my DD love our O and A carrier, picked for us by you! We <3 Pax's Double Rainbow exclusive!! PAXbaby has always been the first website I go to to check stocking! Love the company and love that they offer playdates to get hands on help! I LOVE Paxbaby because the gals are super knowledgeable, sweet and go out of their way to help you make great purchasing decisions. They have great babywearing style and stock a great shop!! I LOVE PAXbaby! As a new babywearer, information is so overwhelming and intimidating, but PAXbaby made it easy to understand and join the babywearing community. Without PAXbaby I don’t think I would have had the courage to pack up my stroller and cuddle my baby even more! Thank you PAXbaby!!! I would absolutely love this bag<3 This is something I have wanted to say for few months now…. it is amazing how much the lovely PaxMommas do for your costumers/followers. Yes you have a great selection of wraps and accessories. Yes you have great giveaways. BUT that isn't why I love PAXbaby. I love PAXbaby because the people who make up the PAXfamily are the reason I can now breastfeed in public without even the slightest hesitation. The frequent photos and love for breast feeding has showed me just how normal and natural breast feeding in public is. When I first had my son, William, and for two months after I would pack a bottle every time i went out. My reluctant son would scream and fight every bottle. Sometimes going 5-6 hours without eating because he just would not take a bottle. i was too scared and too nervous to feed him in public. I felt like i wasn't allowed to feed him with my own body. I felt like a spotlight shined directly at me and everyone was disgusted by me feeding my own baby. I stopped going out to avoid having to feed him in public. I even covered up in my own house when I had guests. I was lost. Then I stumbled across PAXbaby at the time I began venturing into babywearing and cloth diapering. (Funny how they all seem to go hand in hand). The way you all project breastfeeding so fearlessly is what started to change how I felt. I started seeing photos of uncovered beautiful babies feeding in the way they were born to feed. I read the comments about how long everyone had been breastfeeding and the obstacles they had overcome. PAXFamily you gave me the strength and courage I needed to feed my beautiful and healthy 5month 20lb chunker in public with no shame and no fear. For the last three months I have been able to feed him without any feelings of ridicule from others, I am proud to tell everyone who asks that he is breastfed. I no longer cover him because he doesn't need to be covered. Breastfeeding is the most natural thing on this earth and it has given me and my son the most amazing bond. Thank you for that, all of you. I don't think I would have continued if it wasn't for the support you have provided. A million people could have told me it was natural but the PAXfamily SHOWED me it was. I can't thank you enough. My son does too! Love paxbaby!! Love the suprise double rainbow bag! love love it! PaxBaby is the answer for all of your babywearing needs! Whether you’re looking for tutorials and info, a supportive babywearing community, or to shop your heart out, PaxBaby is the place to go. After buying to ring slings that really weren’t of any quality (those weren’t bought from Paxbaby) I purchased a WCRS and it is by far the most comfortable ring sling I’ve ever worn…and of course its in Paxbaby’s Double Rainbow! Super fast shipping and amazing experience! PAXbaby is not only a sweet shop full of everything in your wildest babywearing dreams, it is also a community and if anyone has the desire to wear their baby they will find PAXbaby to be a trusted place to learn the art of doing so…it’s the biggest shop around, but you always feel a part of the heart of it! PAXbaby is one of the best mama run sites I have encountered. Not only do they have amazinc products but they do their best to ensure everyone’s happiness and satisfaction. From updating their blog, Facebook page and creating wrapping help videos – PAXbaby stays on top of it. Thank you for making another aspect of motherhood that much more desirable with your gorgeous merchandise and creating a healthy, baby wearing lifestyle for families globally. I love PAXbaby’s super customer service! Love paxbaby’s blog and helpful info!!!! I love all the beautiful pictures that paxbaby posts, so even if I can’t have all the wraps, I can still drool over them! Paxbaby is such an amazing company run by an extremely helpful mama! I have been helped numerous times by Jillian and the rest of the PAXmommy team. They are always eager to answer questions, have changed shipping details for me and provides excellent general customer service. Most importantly, they helped me figure out what carriers would work best for us when I neede something different. They answered my many questions until we figured out what would work for me and my baby. Thank you Paxbaby, we love you!! I am so thankful I found Paxbaby because I was a new mommy who was incredibly overwhelmed! I sent a message to Paxbaby help with information about used and my baby girl, begging for help sorting through the endless amount of amazing carriers available!! Not only did you respond super quick but you also helped me to find the perfect carrier for me!! Thank you for being rock stars! Posted a picture of my baby babywearing! That bag is so cute! I would use it as a diaper bag because we have had five children and used the same bag for all of them! It’s worn out and doesn’t work well at all. Thanks for the chance!! The picture I posted to your FB page is of my twin boys wearing their shirts that say “Ssssh, I’m mommy’s secret admirer!” <3 <3 Love them so much! My favorite thing about PAXbaby is how GORGEOUS everything is! You make baby wearing EXTRA beautiful! Paxbaby has great babywearing information that is easily accessible as well as some awesome mamas that run the show. I can see the love of babywearing!!! I uploaded a Valentines day pic on Facebook!! Its of me and my baby in a SHBC, while I’m sick… Don’t know how to link it though. <3 paxbaby's YouTube videos, thanks for all of the tips!! jillian at paxbaby is amazing to work with … she’s so helpful, knowledgeable and friendly .. she is really there to help families figure out the right carriers for them and really wants to spread the “love” … thnx jillian and paxbaby! I love PAXBaby and how they promote the use of many different carriers and show a wide variety of parents using these carriers. I think it’s so important to make babywearing accessible. I love PAXbaby! The PAXmamas are super sweet, helpful, and knowledgeable. Customer service is great and I think the raffles are a great way for moms who can’t stalk the Internet to get a chance to buy something they want. Paxbaby.com is our go to place for baby wearing shopping and info. Without ever meeting anyone from Paxbaby, we still feel like they are part of our family. Another person doing their best to promote baby wearing and happy and healthy babies. PAXbaby is amazing in every possible way! The selection is endless and the customer service is top notch. PAXbaby always makes things fun and it keeps me coming back for more. Thanks for everything! I shared a photo on your facebook page. However I can’t seem to put the link in here. I love PAXbaby! Not only have they supplied me with baby carriers and items to make the job of rising children easier, but they’ve also helped me bring babywearing into my friends’ lives. Even if it means the perfect babywearing answer is difficult to get, they’re still right there to help you. Last fall a beautiful, dear old friend of mine passed away. Because I knew what I was able to do if I wasn’t for babywearing, my initial thought was to get a good carrier for his wife who had just became a single mom to their adopted 10 month old baby. I had wanted to get them a carrier sooner, but just never got around to it. We were able to narrow down to a company, but PAXbaby didn’t have any of the prints that would suit mom’s personality. They were right there supporting me, and we were able to get a print directly from the vendor, shipped to me, and we had it before the end of the week. Everyone at PAXbaby has helped us with what we needed for our own family or as gifts, but this was really a time that stands out to us. We love everyone at PAXbaby headquarters! Thank you! Paxbaby always has a variety of beautiful accessories to help me bond with my baby, love it! I love the selection Paxbaby offers! I’m not even technically a customer yet, but I know PAXbaby is the only place that will ever get my babywearing business again! I was undecided on which SSC I should buy, so I emailed PAXbaby’s Help Desk and was asked a very detailed string of questions to help “prescribe” the right carrier for me! Now I’m only waiting on my taxes to return!! I’m so excited to join the ranks of happy babywearers around the globe by becoming a customer of PAXbaby. I seriously cannot wait! I ADORE your love for babywearing & your carefree spirit. The wrap scrap bag Sweetheart bag is absolutely ADORABLE! I am addicted. I love paxbaby products, they are super quick to answer questions. Very fast delivery and super great people. LOVE THEM.